As a news report came out Saturday that state Rep. Dawnna Dukes no longer plans to leave office, the hopefuls looking to succeed her in House District 46 were left wondering whether there was still a campaign left to be run. Editor's note: This story has been updated with a statement from Jose "Chito" Vela III. 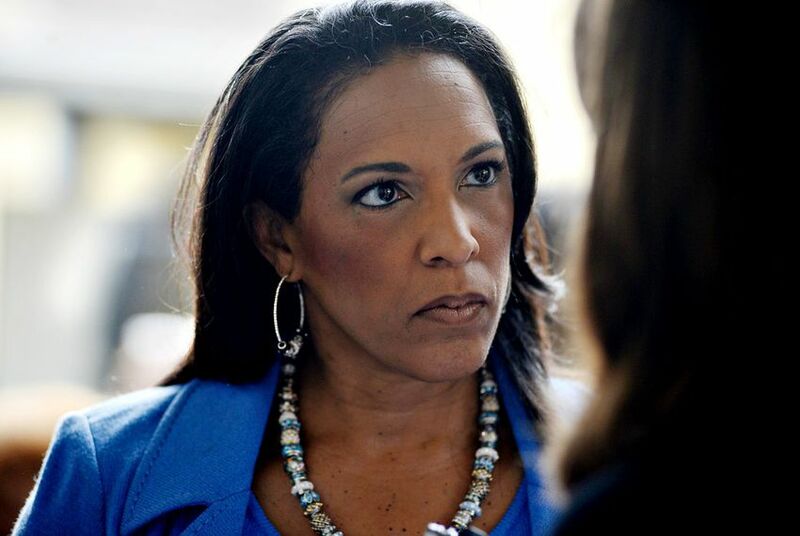 A new level of uncertainty emerged Saturday after an article said state Rep. Dawnna Dukes no longer plans to leave office. Among those who felt blindsided: some hopefuls looking at a potential opportunity to succeed her in House District 46. In September, Dukes, D-Austin, announced that she planned to retire after more than two decades — but that she would not officially leave until Jan. 10, the first day of the 85th Legislative Session. She cited health issues, but her announcement came as the Travis County District Attorney's office conducted a criminal investigation into her alleged misuse of staff and government funds. But the Austin American-Statesman reported Saturday that an attorney for Dukes told Travis County District Attorney Margaret Moore that the legislator would not leave office next week as she had originally planned. For those who were considering a run for a special election to replace Dukes, there's a mix of disbelief and suspicion. "I'm just assuming she's still resigning based on her earlier statement," former Austin City Council Member Sheryl Cole told the Tribune on Saturday. Gabriel Nila, who is also interested in Dukes' seat, said that he and his team had prepared for the possibility of this news months ago. He said there were indicators that "everything was falling into place" for Dukes, with how the investigation didn't come out until after August, how she remained on the November general election ballot and how there was a recent change in leadership at the Travis County DA's office. "I'm more disappointed that she lied to the community, lied to the voters and lied to residents of the district," said Nila, who lost to Dukes in the November election. "There's an integrity issue going on here." Jose "Chito" Vela III, another candidate vying for Dukes' spot, said he doesn't know how she would regain voter confidence after reversing her resignation. He said he was surprised to learn of the news on Saturday. Vela said that the district will "not have anyone that's effective" potentially representing them until after the 2018 primaries. "There's a huge cloud of uncertainty for representation of the constituency and it's not good," Vela said. Dukes didn't immediately respond to a request for comment for this article. Former staff members have accused Dukes of seeking reimbursement from the state for travel payments she was not entitled to. In February, the Tribune reported that the state auditor’s office was investigating her use of state workers for personal projects. In April, the Texas Rangers joined a criminal investigation into Dukes’ behavior and presented their findings to the Travis County DA's office, which is still reviewing the case. Dukes has denied the allegations. On Friday, Bill Miller a spokesman for Dukes, confirmed to the Tribune that Dukes still planned to resign on Tuesday. “She won't be answering questions prior to that date,” he wrote in an email to the Tribune. Asked Saturday about the report Dukes wouldn't resign after all, Miller told the Tribune that he had breakfast with Moore last week and"presumably, it would be a topic of conversation between us if Dukes told her she would not resign." "I know what I was told long ago and no one has told me otherwise. [Dukes] is going to do whatever she is going to do," Miller wrote in an email. While Dukes said in September she would be resigning, her name remained on the November general election ballot, and she defeated Nila, the Republican on the ballot. In addition to Cole, Nila and Vela, Kevin Ludlow, who ran for Dukes’ seat last year as a Libertarian, could also be on the ballot in a potential special election. Vincent Harding, chairman of the Travis County Democratic Party, had considered a bid but announced Wednesday he would pass on it. If Dukes were to submit a resignation letter to Gov. Greg Abbott, the governor would have 20 days to announce a special election date, which could be anywhere between 21 and 45 days after that. Abbott had not received a resignation letter, a spokesman said Friday. Alex Samuels, Patrick Svitek and Jim Malewitz contributed to this report. State Rep. Dawnna Dukes announced her retirement in September and had planned to make it official on Tuesday. That would make her annual pension payout $3,220 bigger. Even after vowing not to serve her district in the next legislative session, state Rep. Dawnna Dukes won more than 70 percent of the vote. In September, Dukes announced she was resigning. Emails from state Rep. Dawnna Dukes to her office staff show how state workers worked on the African American Community Heritage Festival, a local event Dukes had organized for years. She insisted her staff's work was neither illegal nor improper.